Finding your routes couldn't be easier, simply go to our routes page and select your required route using the navigation provided. 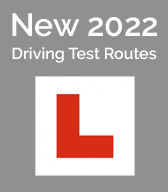 Driving test routes can be search by an A-Z index, county, postcode or town. 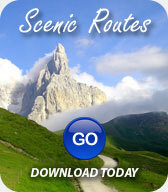 Scenic Routes, Motorcycle and Car routes are listed by country. Follow the numbered prompts to purchase your route. Our Android driving test and scenic routes work using a free sat nav app. Simply purchase your routes then load on to your phone using our instructions. The app with navigate you around all the routes so you can concentrate on the scenery, road or learning to drive. Our iPhone driving test routes work using a sat nav app. Simply purchase your routes and load on to your phone using our instructions. 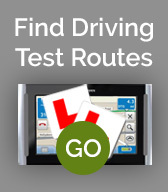 The app with navigate you around all the test routes so you can concentrate on learning to drive. At Route-Led we supply Sat Nav routes for TomTom, Navman and Garmin devices, simply choose your Sat Nav device in the purchasing process. All routes are designed to direct you to the start location and through the route itself. For more information please visit our support page. Google Map routes allow you to view your routes in detail using PC, Mac, iPhone, Android phone or any device that has a internet connection. All routes can be manually studied in detail and printed. For more information please visit our support page. CoPilot Live Mobile Navigation routes allow you to use your iPad, iPhone, Android or Windows Mobile as a Sat Nav device. This is the perfect solution if you don't own a Sat Nav. All routes are designed to direct you to the start location and through the route itself. For more information please visit our support page. 4. Purchase routes using your PayPal account, debit or credit card. All our routes are delivered via automated email immediately after your payment has been processed. Usually payment is instant and routes will be in your inbox within minutes.